Sip your energizing morning coffee and enjoy a light breakfast from the Earthbox coffee bar on the patio by the pool. Or relax with a smoothie before an exhilarating day of sightseeing, trail walking, or whale watching on your San Juan Island vacation. 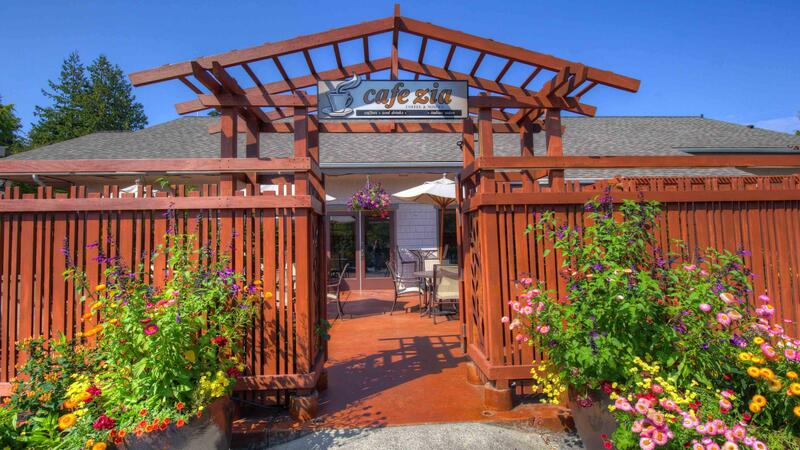 Sweet island air, high-quality coffee beans, helpful staff eager to serve you . . . treat yourself!